Phil Painter writes: I have two copies of Issue 1, both in excellent condition.Both copies were bought on 14th October, 1978 at The Curbs concert. That evening I got talking to music/political poet Alan Jowett who gave me a signed copy of his poem magazine - Urges.I asked Alan to sign it, date it, and mention Kelly's venue which he thankfully did. He also made a point of correcting one of his poems for me, crossing out the word 'deprocation' and writing in 'deprivation'... When Alan was reciting his poems on stage, most people wondered what the hell he was going on about, but reading his poems now, he was a genius really.I have a small set of pics of the Curbs on stage - and of the RAR organisers, Militant Frank Manley and Co. Ian Curtis definitely attended on the evening of the 14th, he was wearing his HATE jacket. I didn't talk to Ian, as he had his back to me, but I remember looking at the word HATE on the back of it. Joy Division had played at Kelly's two nights earlier. 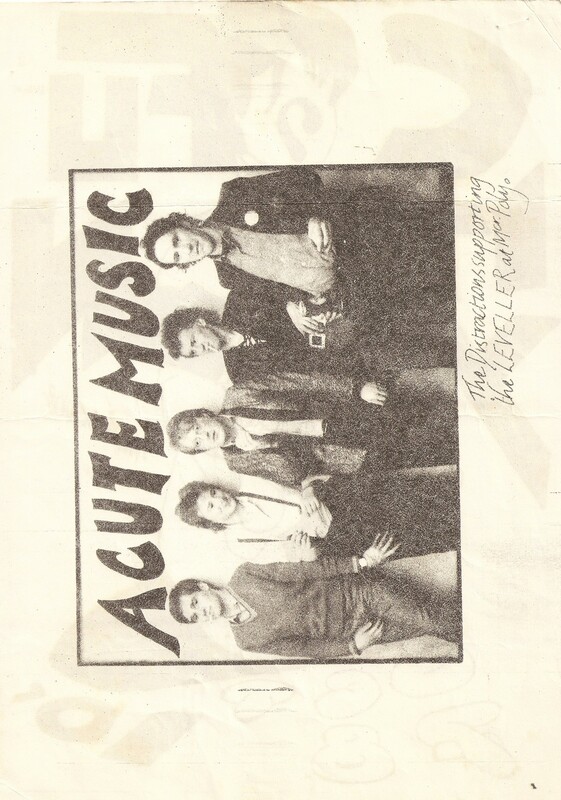 At the time The Curbs were rehearsing at Tony Davidson's, and supported JD in Bolton. I use to ferry the Curbs to gigs around Manchester in my car, and often went to the rehearsal rooms.